Frank Reno has been called “Dunk” since he almost drowned at eighteen months old. The name befits a man for whom the water has always been a way of life, if not always a main source of income. Dunk was born and raised in two fishing villages: on Pass Manchac, and also in Bucktown on the south shore of Lake Pontchartrain. He did not follow his father into commercial fishing—not exactly. Instead, Dunk joined the Marine Corps as a teenager, turning seventeen in North China. He later enjoyed a career in law enforcement as a game warden, a prison warden, and working for the Tangipahoa Parish and LaPlace Sherriff’s Offices. All along the way, he kept one foot (at least) in the seafood business. It’s difficult to keep track of how many seafood markets, restaurants, and barrooms he has owned and operated. 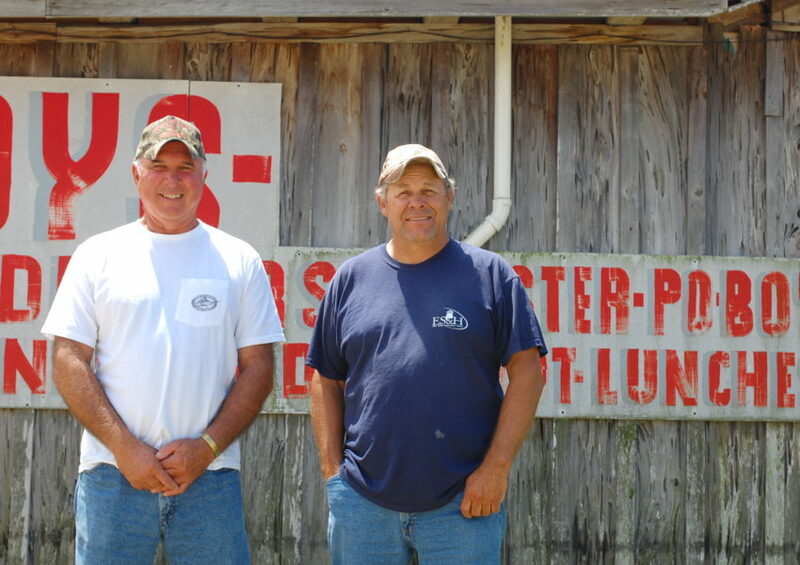 He purchased the business now called Reno’s Seafood in the early 1970s and spends his retirement there, seven days a week, with several family members who work with him. 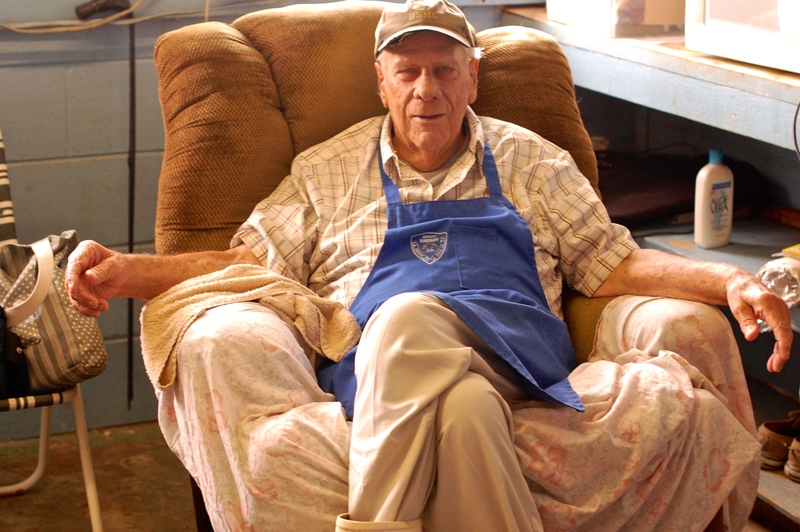 Reno’s was Manchac’s only fresh seafood outlet at the time of this interview, and Dunk sold it all: bait, crawfish, crabs, shrimp, catfish, turtle, and even raccoon. This interview took place on Holy Thursday, three days prior to Easter, in 2014. Dunk answered telephone calls throughout the conversation from customers looking for celebratory seafood. Wanda Cortez and Lois Sykes have worked as waitresses at Middendorf's for more than twenty years. Beauty Rottman Gueldner's family lived behind Rottman’s Seafood Market, which they ran for thirty-seven years. Horst Pfeifer owns Middendorf's Restaurant with his wife, Karen. Elaine Carter began working in the kitchen of Middendorf's at fifteen.